Human beings love numbers – especially when those numbers help us to categorize, compare and index things. When it comes to cars, the speedometer is what we use to compare the speed – and sometimes the quality – of cars. For example – how many car commercials do you see where the time it takes a car to go from 0-60 speed is announced with great pride? In baseball, we have the Batting average – for years thought to be the most common measure of a hitter’s ability. In the stock market, we have the Dow Jones Industrial Average – the benchmark for the rise and fall of the market. In national defense, we have the “DEFCON” rating – the lower the number, the closer we are to war. A GAF Score does the same thing for the the VA when it establishes a VA PTSD Disability rating. It gives the VA a universal number to compare, contrast, rate and index Veterans who file a claim seeking a PTSD disability rating. Most of these numbers are general guidelines only, and tell us very little about the INDIVIDUAL in the group. A car’s ability to go from 0-60 in a particular time is no indication of the quality of the vehicle. A baseball player’s batting average in a given season is not a good measure of his contribution to the game over time. And the Dow Jones Industrial Average doesn’t tell us much about stocks that aren’t “blue-chips” and how they are performing. Same for the GAF Score in a VA PTSD Disability Rating. 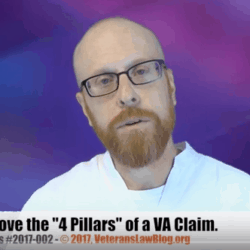 The GAF Score should NOT be such an important part of how the VA calculates your PTSD disability rating – and more often than not, it causes the VA to “lowball” your VA Disability rating in a PTSD claim. But first, let’s take a look at the GAF. 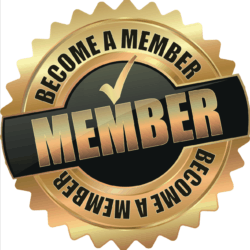 The DSM-IV is the Diagnostic and Statistical Manual of Mental Disorders, 4th Edition. It was used by those in the Mental Health fields as a standardized tool to help eliminate some of the subjectivity of the diagnosis of mental health conditions. The DSM-IV was used from 1962 – 2013, and has been replaced by the DSM V.
The DSM-IV established 5 axis for evaluating the severity and scope of Mental Health Conditions. The general thought was that one cannot understand the mental health condition without understanding the physical, emotional, and psychosocial elements that played into it. Cliff Claven fact: Even under the DSM-V, being a Boston Red Sox fan is commonly accepted as a personality disorder. haha. Axis III: Physical/medical diagnoses that were relevant to and might impact a mental health condition. For example, if you had depression, and were diagnosed with Parkinson’s disease, this would be noted on Axis III, because there is not only a depressive component of Parkinson’s, but it also might be playing a role in limiting treatment of your depressive condition. Axis IV: Psycho-social factors that might impact treatment, or that might be playing a role in the severity of the condition. Bad home environments, histories of drug or alcohol abuse, victim of sexual abuse, etc….the list is endless, but it basically looks at your environment and how it impacts your mental health. Axis V: The Global Assessment of Functioning Scale. A rating, on a scale of 10 – 100, which was supposed to give a general indication of the person’s overall ability to function in daily life with their mental health condition. It is that last Axis – Axis V – which we are talking about today. The GAF Score is a number – assigned by a doctor evaluating your mental health condition – which is supposed to evaluate your ability to function in your life in a given period of time. Think of it like your “Mental Health Batting Average”. A grade of your ability to thrive in life during a particular period of time. 100-91: Superior functioning in a wide range of activities, life’s problems never seem to get out of hand, is sought out by others because of his or her many positive qualities. No symptoms. 80-71: If symptoms are present, they are transient and expectable reactions to psychosocial stressors (e.g., difficulty concentration after family argument); no more than slight impairment in social, occupational, or school functioning(e.g., temporarily falling behind in school work). 70-61: Some mild symptoms (e.g., depressed mood and mild insomnia) OR some difficulty in social, occupational, or school functioning (e.g., occasional truancy, or theft within the household), but generally functioning pretty well, has some meaningful interpersonal relationships. 50-41: Serious symptoms (e.g., suicidal ideation, severe obsessional rituals, frequent shoplifting)OR any serious impairment in social, occupational, or school functioning(e.g., no friends, unable to keep a job). 40-31: Some impairment in reality testing or communication (e.g., speech is at times illogical, obscure, or irrelevant) OR major impairment in several areas, such as work or school, family relations, judgement, thinking, or mood (e.g., depressed man avoids friends, neglect family, and is unable to work, child frequently beats up younger children, is defiant at home, and is failing at school). 30-21: Behavior is considerably influenced by delusions or hallucinations OR serious impairment in communication or judgement (e.g., sometimes incoherent, acts grossly inappropriately, suicidal preoccupation) OR inability to function in almost all areas (e.g., stays in bed all day, no job, home or friends). 20-11: Some danger of hurting self or others (e.g., suicide attempts without clear expectation of death, frequently violent, manic excitement) OR occasionally fails to maintain minimal personal hygiene (e.g., smears faces) OR gross impairment in communication (e.g., largely incoherent or mute). 10-1: Persistent danger of severely hurting self or others (e.g., recurrent violence) OR persistent inability to maintain minimal personal hygiene OR serious suicidal act with clear expectation of death. 0: A GAF score of 0 might be given when there is inadequate information to assign any other score. Since its first introduction, mental health practitioners have had difficulty using this scale. That is why, when the DSM-V was put into use in 2013-2014, it no longer used the GAF score. It’s done – gone. As is the 5 Axis method of evaluating the mental health disability. But it’s still showing up in many of your VA Rating Decisions. And I can almost guarantee that when the VA is using the GAF score to assign your PTSD disability rating, it is artificially lowering your overall disability rating. How the GAF Artificially Lowers the VA PTSD Disability Rating. The number one reason that the GAF score artificially lowers the VA PTSD Disability Rating is that it is inherently subjective. The doctor’s experience using the rating – 0r as is more common in the VA – the doctor’s LACK of experience using the tool – can skew the score high. Moreover, psychologists have found that doctors naturally bring their own personal prejudices and personal histories and backgrounds into play in using the GAF score. 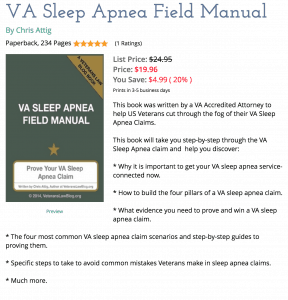 So….a VA doctor that believes that all non-combat Veterans who file a VA PTSD Claim are “malingering” might (consciously or subconsciously) evaluate the Veteran higher on the GAF scale than a doctor without that preconception. There is also an inherent cultural bias in the GAF Scoring tool. You can read one of the leading studies about this phenomena by clicking here. In a nutshell, though, because the GAF score was an evaluation of the ‘deviation from the cultural norms’, if the doctor or the patient was not ‘in the cultural norm’ where the rating was occurring, the rating might be skewed. In fact, it was not at all uncommon for a Veteran to get a very high GAF score from a VA Doctor one week, and a week later, a different (private) examiner with more experience treating a condition like PTSD would give a significantly lower GAF Score. When inconsistent with the facts of medical treatment, the VARO and the BVA often put more faith and trust in the GAF score, and suggested that when there was a conflict, the Veteran was somehow dramatizing his or her condition. I saw this most commonly in PTSD disability ratings that were related to a Military Sexual Trauma. In MST situations, the GAF score might vary wildly, depending on the stage of recovery of the victim. The VA would often look at varying GAF scores and say – this Veteran’s story about their MST, or its impact in their lives today, is not credible because the GAF score is fluctuating so wildly in relatively short periods of time. I could almost predict that, based on the degree of variation in the GAF scale in a certain time period, the likelihood that the VA might deny a proper PTSD disability rating – or even service connection in the first place. All those factors led, over time, to an unjustified reliance in the VA Machine on the GAF score. Internal and external bias tending to drift the aggregate GAF scores higher, and as a result, most Veterans received a lower PTSD Disability Rating based on an improper use of the GAF score. Should the VA use Your GAF Scores in its decision? Anymore, I would almost want to say “no”. The DSM-V is now being used as the tool to evaluate and diagnose mental health conditions. The DSM-V threw the GAF score to the curb. So, if you are filing a new mental health claim, and a post 2014 VA diagnosis or rating uses the DSM-IV criteria or a GAF Score to affect the PTSD Disability Rating, there is most likely reversible or remandable error. In those situations, a Veteran might consider challenging the adequacy of the exam, the competency of the examiner, and/or the methodology used in the mental health exam. But not always. Sometimes, the use of the DSM-IV criteria might yield a higher PTSD disability rating than the use of the DSM-V criteria….in those cases, it may make sense to let a sleeping dog lay, as they say. But we can’t ditch the GAF scores in PTSD disability ratings just yet. Because there are millions of Vets who were assessed using this tool from 1962 – 2013, and to understand whether there has been error in past decisions, or to assign a proper PTSD disability rating for recent Veterans treated/diagnosed under both criteria, we still need to understand how the GAF score should be used in a PTSD disability rating – or in any mental health condition, in reality. Here’s the common rule that should be applied in considering a PTSD Disability Rating that relies, in whole or in part, on a GAF Score. By definition, the GAF score is the examiner’s assessment of the level of disability at the time of the examination, for a given period of time. So, by definition, when the VA assigns your PTSD disability rating based solely on your GAF score – or the trajectory of your GAF scores over time – they may have committed error and low-balled your PTSD Disability Rating. I’d love to hear your thoughts on this post….send me an email and tell me how the VA lowballed your PTSD Disability rating by using the GAF score, or post a comment below telling others about your experience. As with nearly all of your posts, this is extremely relevant to my situation. Am I correct in thinking that my “C” file will tell me if the GAF was used in my rating – 70%? 3) Ratings Decisions and Statements of the Case where the rater talks about the resigns for choosing the rating (newer rating decisions don’t have this information, regrettably).